There have been a ton of new details revealed for Justice League trilogy courtesy of Kevin Smith and his Fatman podcast. Kevin Smith visited the set of Star Wars Episode IX and got the skinny on what went down on Justice League and what happened to the planned Justice League trilogy and the Zack Snyder cut and all the changes Joss Whedon made to the script and the ultimate film. The biggest news likely was that Darkseid was supposed to be in Justice League. The supervillain originally had a cameo at the end of Justice League, appearing to the League as a teaser of what was to come. 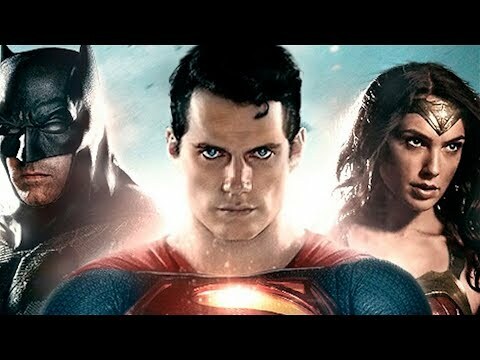 Snyder planned Justice League 2 to be a downer, along the lines of Infinity War or Empire Strikes Back, with the bad guys getting the upper hand. Justice League 3 would have the heroes take on Darkseid back on earth, after being trapped in space in Justice League 2. That’s where the Knightmare dream sequence from Batman v Superman would play in - with Batman’s nightmare coming to life. Green Lantern was originally slated to appear in Justice League. Alfred talked with Green Lantern - as seen in an early teaser clip, but Joss Whedon cut that part. Fans want to see the Zack Snyder cut of Justice League - despite many saying there is no Zack Snyder Justice League cut. There seems to be ‘something’ out there in the form of Justice League Snyder cut - and with all the changes coming to the DCEU - including Ben Affleck out as Batman - maybe one day we’ll actually see the scrapped DCEU plans.